Lynda’s journalistic approach to photography lends a sensitive and natural style to portraits and life cycle events such as weddings, Bar and Bat Mitzvahs and family celebrations. She captures the essence of each special day without intrusion, recording the moments as they naturally unfold. Official photographer to the prestigious Jacob Burns Film Center, Lynda has documented the comings and goings of the many filmmakers, actors, writers and other celebrities who have passed through its doors. She is equally adept at portraiture on location and in the studio, and has photographed such diverse subjects as the on-air staff of a public radio station and the top level executives of numerous multi-national corporations. Lynda is the photographer of choice for many important fund-raising galas and events every year – from formal dinners and awards ceremonies to golf outings. More than just a means of capturing a pretty picture, Lynda believes that photography has the power to change the way in which we view our own personal narratives and share them with others. 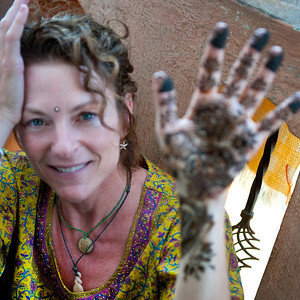 During a recent trip to India, she worked with children in the slums of Bangalore, teaching them how to take photos of their world and each other. She then traveled to Rwanda where she worked with widows who lost loved ones, neighbors and family to the region’s genocide. For these women and children, the chance to look through the camera’s lens was an opportunity to view their experience from a new perspective, that of an observer and documentarian. “It was gratifying to see how much joy they derived from this experience. The camera literally allowed them to reframe their reality to share with each other and the world beyond.” Whether looking for someone to document an important milestone, celebrate a personal achievement, or create a timeless portrait, Lynda’s clients appreciate her insight as much as her eye for composition and color. A graduate of The Maryland Institute College of Art in Baltimore Maryland, Lynda brings a journalistic and artistic sensibility to all her work.